At House of Logos, it’s fair to say we collectively share a passion for cars and motorsport. Because of this, we feel very privileged to have produced items for some high profile and respected companies in the automotive industry. Our items are sold online, at car shows and exhibitions to consolidate company’s brands, or used as an ideal promotional give-away with products and services, as they are used and seen, creating a talking point. Prestigious car wax company Dodo Juice are very conscious about customer care and after sales service. They created a Dodo Juice keyring and bottle opener depicting the company logo, which were resold to customers. They were also used for giveaways in competitions they run on Facebook and in their forum, creating customer loyalty and getting them talked about. 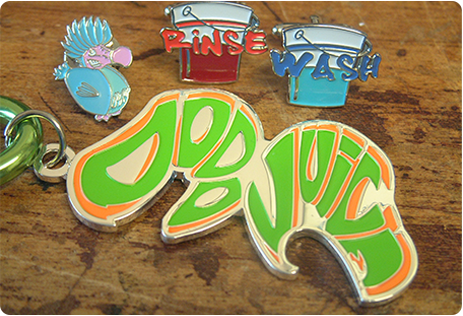 We love dealing with our friends at Dodo Juice, as they’re always coming up with new characters and ideas to engage their customers and have recently launched their very own Wash & Rinse cufflinks!